"Red State" is a horror movie that is set in the midwest and follows a looney preacher based on Fred Phelps of the Westboro Baptist Church. Back in August, a log line was released giving a brief synopsis. Outside of that very brief synopsis, Smith is keeping the details to his new horror film under-wraps. Some of this could be a result of the recent backlash Smith has faced, but honestly I'm glad to see the guy back at it. Also I'm happy he's keeping quiet about the film. Too many movies these days have had half of the movie spoiled due to online reporting. 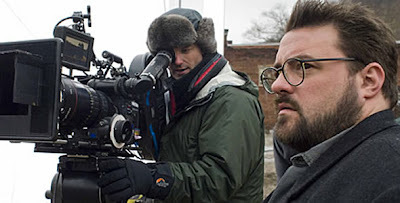 Whether Smith is still fuming over journalists hatred for his last movie Cop Out or not is of little importance, Smith is soon to be back behind the camera and hopefully will give his fans and audiences something worthwhile to talk about. We do know a solid majority of the cast for "Red State." Playing the Fred Phelps based character is Michael Parks. Also cast in the film are Michael Angarano (Snow Angels), Melissa Leo (Frozen River), Kyle Gallner (A Nightmare on Elm St.), new comer Nicolas Braun and Steven Root (Office Space). Angarano, Gallner and Braun will play the teens who "encounter a crazed preacher," while the rest of the roles have yet to be defined. I'd bet Melissa Leo will be playing a mother to one of the boys or a member of the preacher's church. Also reported to have a role is Dermot Mulroney, but I'm not so sure he is still in the film. He may have dropped out due to conflicting schedules. Also newly announced via Twitter to the cast of "Red State" is Kevin Pollak. Pollak was of course in Smith's Cop Out. Pollak is a nice addition to an already solid cast. Pollak, Parks, Leo and Root are all cloaked actors. They can pull off comedy, drama and anything in between so they should ignite the screen if Smith has done his homework. As for the cast of teens, I'm pretty happy. 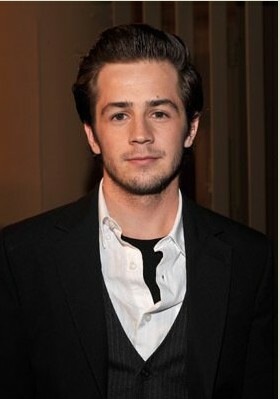 Michael Angarano is a talented kid. I really like him and both Gallner and Braun have shown they deserve to be landing substantial roles in Hollywood.